The Tennessee Business Law Conference packs one day with leading authorities delivering critical law practice guidance on the hottest topics and some of the most complex issues you’ll face as a business law practitioner. 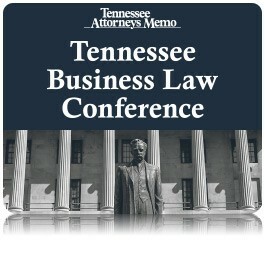 Mark Ison will present Nuts and Bolts of Professional Entities in Tennessee. The conference will be held Friday, May 15, 2015 at the Nashville School of Law. For more detailed information and to register for this event, please visit the M. Lee Smith website.